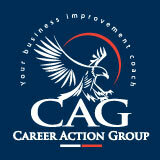 Career Action Group (CAG), is comprised of Project Managers offering a unique alternative to reaching Human Resources objectives. We offer full service project management, just like having your own, in-house HR Department. CAG has specialists on board to help with all outsourced Human Resources projects. To promptly respond to all inquiries. To keep you informed on the progress of your project. To respect your right to set objectives. To protect the confidential information provided. To exhibit the highest degree of ethical conduct. CAG offers Strategic Organizational Solutions, designed specifically for you. We will work within your company culture to accomplish your goals efficiently, quickly and cost effectively. Our clients have credited us with being results oriented while assisting them with projects in recruiting, (we are not an employment agency), coaching, research, restructuring, training, outplacement, SOS and more.